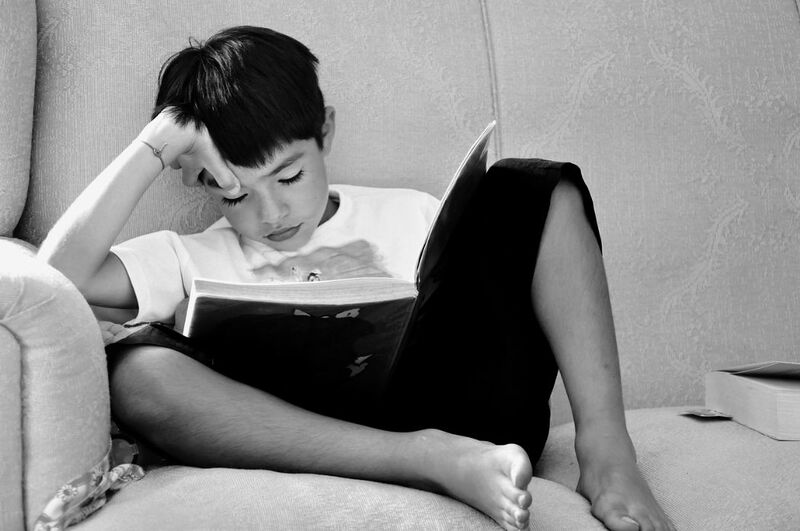 A while back I came across an article in which Larry Ferlazzo, an award-winning Sacramento teacher, shares his recommendations on motivating kids to read more. I thought I’d share his insights with you. He believes there are four things that can foster intrinsic motivation in students. Autonomy: Allowing your child to choose what they will read is a highly successful way to increase motivation. For instance, if your child is not that interested in reading, but will pick up a comic book or graphic novel, let her chose those options instead of pushing a traditional novel on her. Feeling successful: Track his progress and create a reward system. Work with your child to create a goal, and when the goal is met, celebrate. Use a website like Goodreads.com to track how many books he’s read. (Goodreads even calculates how many pages you’ve read.) Set up a time weekly to check in and record his progress. Ability to share with others: When children can talk with others about what they’re reading in a ”low- or no-stakes environment,” Ferlazzo says, they will be more motivated to read. This could be at the dinner table, or before bed…not during homework time when the student might feel more pressure. This could also be incorporated into our tutoring or coaching sessions. Relevance: Find ways to make it relevant to their life or their future goals. If they want to read about Star Wars or Minecraft, let them. When they aren’t reading at all, try not to be picky about what they read. Eventually, they will develop a love of reading if they are interested in what they are reading. Whether they are obsessed with narwhals, levers, football, or movie make-up, find them books about the topic and let them loose.